Trustees began activities Thursday with a visit to Hidalgo ISD, including a tour of the district’s Early College High School. The day concluded with a tour and dinner at the Museum of South Texas History. Friday’s session focused on campus tours at South Texas ISD, including South Texas High School for Health Professions and the district’s Business, Education, and Technology Academy. Featured speakers were Kori Hamilton, whose presentation was “Oh Gosh! Is My Privilege Showing?” and concluded with nationally known speaker Derek Greenfield. His presentation, “From Diversity to Inclusion,” highlighted techniques and strategies public schools can employ to better include all children and all families in the educational enterprise. Saturday activities focused on research team presentations from the six teams examining various parts of the new federal law, Every Student Succeeds Act. The LTASB class of 2017 represents Texas school districts of all sizes, with student populations of 160 to more than 160,000, and reflects the range of property wealth. Participants who complete all required elements of the study will graduate in June with a unique designation recognized by TASB. Each session has a specific theme that builds on the previous session and features state and nationally recognized experts in the fields of leadership development and education. Teams also work on extended learning assignments between meetings throughout the year. Created in 1993, Leadership TASB has almost 800 graduates to date. The 2017 LTASB participants will complete their year in June during the annual Summer Leadership Institute hosted by the Texas Association of School Boards (TASB). 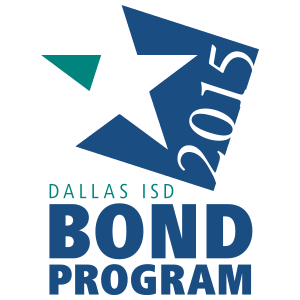 TASB is a nonprofit association established in 1949 to serve local school boards. School board members are the largest group of publicly elected officials in the state. The districts they represent serve more than 5.3 million students.